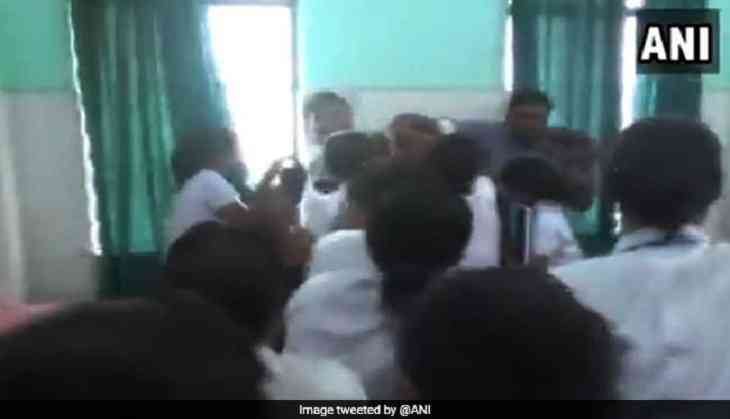 A crowd of nurses in Bihar’s Katihar hospital went out of control and beat up a doctor black and blue for molesting a trainee nurse. The video of beating up went viral in which a crowd of nurses is being seen to thrash a man mercilessly. Initially, the nurses complained with the hospital’s civil surgeon. On the basis of their complaint, the doctor was called in for questioning. During questioning hour, the angry nurses forcefully entered into the room and started thrashing him mercilessly although a few male staffers tried to shield him.The nurses were demanding that the hospital authorities hand him over to them. The accused doctor managed to escape the spot. The police reached the spot and tried to calm down the agitating.